Copies of the classnotes are on the internet in PDF and PostScript. Section 1-2: Gauss Curvature. PDF. Section 1-3: Surfaces in E3. PDF. Section 1-4: First Fundamental Form. PDF. Section 1-5: Second Fundamental Form. PDF. Section 1-6: The Gauss Curvature in Detail. PDF. Section 1-8: The Curvature Tensor and the Theorema Egregium. PDF. Supplement. Wald's General Relativity Notes webpage. Supplement. Hawking and Ellis's The Large Scale Structure of Space-Time Notes webpage. Chapter 2: Special Relativity: The Geometry of Flat Spacetime. PDF. Section 2-1: Inertial Frames of Reference. PDF. Section 2-2: The Michelson Morley Experiment. PDF. Section 2-3: The Postulates of Relativity. PDF. Section 2-4: Relativity of Simultaneity. PDF. Section 2-6: Invariance of the Interval. PDF. Section 2-7: The Lorentz Transformation. PDF. Section 2-8: Spacetime Diagrams. PDF. Section 2-9: Lorentz Geometry. PDF. Section 2-10: The Twin Paradox. PDF. Section 2-11: Temporal order and Causality. PDF. Supplement. Das' The Special Theory of Relativity, A Mathematical Exposition, 1.1. Minkowski Vector Space V4. PDF. Supplement. Das' The Special Theory of Relativity, A Mathematical Exposition, 1.2. Lorentz Mappings of V4 (partial). PDF. Supplement: Velocity and Acceleration in Polar Coordinates (This section of Calculus 3 notes includes proofs of Kepler's three laws of planetary motion.) PDF. Chapter 3: General Relativity: The Geometry of Curved Spacetime. PDF. Section 3-1: The Principle of Equivalence. PDF. Section 3-2: Gravity as Spacetime Curvature. PDF. Section 3-3: The Consequences of Einstein's Theory. PDF. Section 3-7: The Field Equations. PDF. Section 3-8: The Schwarzschild Solution. PDF. Section 3-9: Orbits in General Relativity. PDF. Section 3-10: The Bending of Light. PDF. 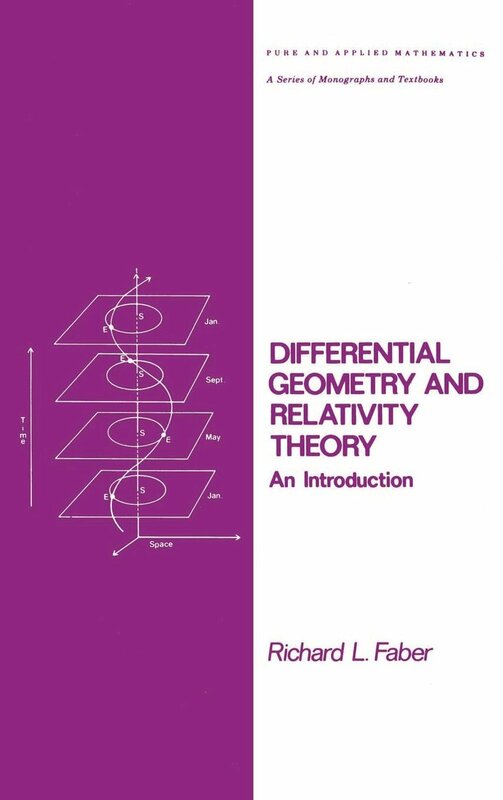 Supplement: Based on Foster and Nightingale's A Short Course in General Relativity. Black Holes. PDF.